Dr. Zanos obtained his MD diploma from Aristotle University, in Thessaloniki, Greece. He served as a general medical practitioner and a military physician, before training in internal medicine and cardiology, and earning a PhD in Neuroscience and Physiology from the University of Washington School of Medicine in 2013, where he also served as senior fellow and instructor. He joined the Feinstein Institutes for Medical Research as assistant professor in 2017. At the Feinstein Institutes, he leads the Translational Neurophysiology Lab, at the Institute for Bioelectronic Medicine. He is also adjunct assistant professor at the University of Washington. Dr. Zanos’ studies focus on neurostimulation as a means to study the nervous system and to treat diseases in which the nervous system is affected or implicated. The main areas of his research are: neural control of autonomic function, neural plasticity, responsive and adaptive (closed-loop) neuromodulation, and development and testing of bioelectronic medicine therapies. His lab conducts research on treating cardiovascular, neurological and metabolic diseases using neurostimulation. He is principal investigator in a DARPA project on the use of vagus nerve stimulation to promote targeted brain plasticity and augment cognitive performance. Dr. Zanos is the author of 20 peer-reviewed publications. 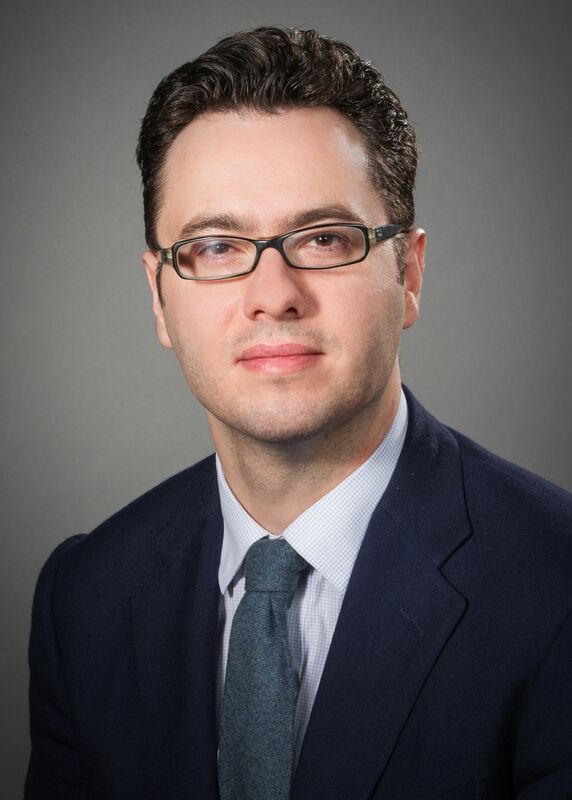 One of Dr. Zanos’ research interest is the study of mechanisms, fiber types and neural circuits by which the autonomic nervous system informs the brain about the status of peripheral organs and systems, and exerts control over them. At the Translational Neurophysiology lab, anatomical techniques are developed to map the peripheral and central neural circuits responsible for these functions and to track how these circuits are altered by disease. Physiological, electrophysiological, optical and genetic methods are used to understand neural activity related to autonomic function in the nerves themselves, the ganglia and the brain and to study how nerve stimulation affects the brain and the organs to which the nerves project. Another major area of interest are techniques and technologies for responsive and adaptive neuromodulation of central and peripheral neural systems. “Responsive” means that neurostimulation is delivered upon the occurrence of certain physiological events or states of the system or the organism. “Adaptive” means that neurostimulation is optimized in real time with regards to its physiological and/or neurological effects, by adjusting its parameters on the fly to maximize effectiveness and minimize side effects. Special surgical methods, probes and stimulation techniques are used to selectively activate organ systems, nerves and nerve fibers. Recording and stimulation systems, both rack-mounted and implantable, are developed and deployed to interface with the nervous system in real time, in a bidirectional manner. At the Translational Neurophysiology lab, neurostimulation-based, bioelectronic therapies are tested in preclinical models of disease, using the knowledge gained from basic neurophysiological studies and the neuromodulation technology developed. Disease models are developed and studied in different small and large animal models, each of which has unique advantages and limitations in the translation process. Experiments are designed so that what is learned from earlier models is directly transferable to later models, and ultimately to human clinical applications. Such therapies are ultimately tested in clinical trials, in collaboration with clinical research teams at Northwell Health. In vivo paradigms are developed for induction and control of spike timing-dependent synaptic plasticity in the central and the peripheral nervous system. These paradigms rely on detection of neural activity with appropriate probes and hardware and contingent delivery of activity-dependent neurostimulation in real time, a major application of the closed-loop neurostimulation methods we develop. Neural plasticity is induced by directly stimulating the cells that are synaptically-connected, and by delivering neuromodulators to those cells, either pharmacologically or electrically, e.g. by vagus nerve stimulation. The goal is to use such paradigms to control neural plasticity and “re-sculpt” the circuits that have undergone maladaptive changes in neural, autonomic, cardiovascular and metabolic disorders.